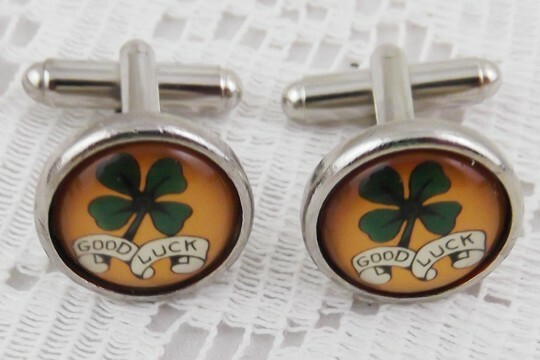 No matter what kind of luck he needs - luck in love, luck in money or if he's just Mr. Lucky, these are the cufflinks for him. The arrive in a nice gift box, ready for him to wear. 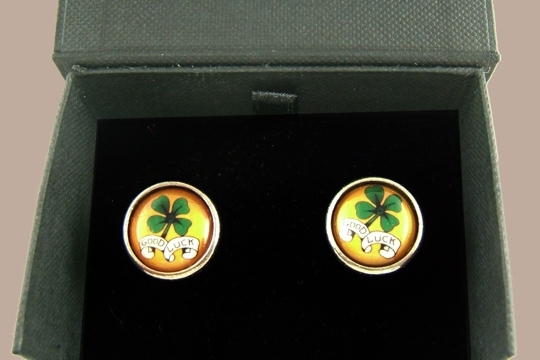 The tattoo-style image features a brilliant 4-Leaf Clover and the words GOOD LUCK on a banner below the clover. The cufflinks arrive in a beautiful presentation gift box.